Mike Johnson, Dan Dugmore and Bob Kramer use Walker Seats. The "Esquire" model is the one that is used by both pro players as well as guys and gals who play locally for bands and for folks that just play for the fun of playing. As all Walker Seats, this seat will hold as much as you need and then a lot more. The cushioning system is the famous Walker "triple layer" system to make things a lot easier on your bottom for long stays in the saddle. This model also sports a "backrest" for great lumbar support. 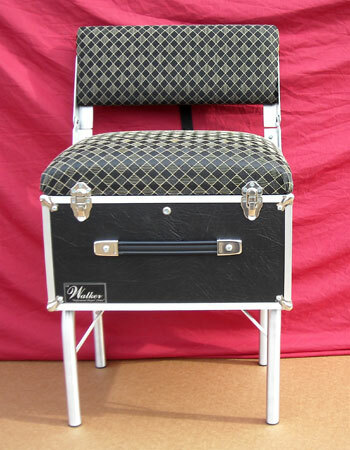 It is trimmed out in a high quality "hand burnished" aluminum trim for that handsome professional stage look. 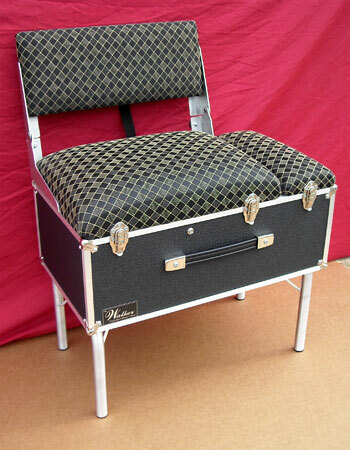 This seat and backrest is covered in the highest quality fabric for a "no sweat" feel as well as ease when turning in the seat as many players do in the course of a show. 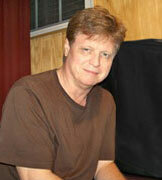 Tommy White uses this seat on the Grand Ole Opry and when doing his show for Crook and Chase. It speaks volumes for the "Esquire". The name says it all!!! 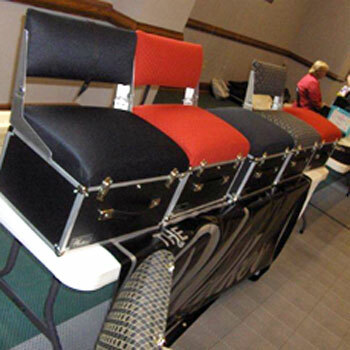 The "Throne" model has all of the features of the "Esquire" but has a sidecar compartment that opens independent of the rest of the seat "WHILE YOU ARE SITTING DOWN". We made this feature for quick string changes without having to get up and get your tools from the main compartment. The "door", when opened, also gives you the capability of setting things on it like a tuner….chord chart...or even the beverage of your choice. It's a very popular model for us.